Breakfast is such an important meal because it starts your day and puts your metabolism back into gear. A lot of times people either go way overboard on carbs by having a big bowl of cereal or fruited yogurt with no protein or having eggs with no healthy carb. Here are a few ideas that are balanced to start your day off right. Eggs – Egg scrambles are easy to make and easy to switch up. You could add spinach and black beans topped with fresh salsa. Another good breakfast is adding a potato hash instead of the black beans to keep that healthy carb. 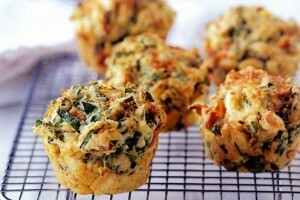 My Mini Fritattas with Spinach and Feta are also a simple breakfast that can be a great on the go breakfast. Oatmeal – Oatmeal is a whole grain but in reality it does not have enough protein to balance out the meal. I love switching up my oatmeal and playing around with it. I enjoy oatmeal with 2 tbsp of peanut butter and cut up apple. I also like to add protein powder to my oatmeal and sprinkle with some nuts. Here’s my hearty oatmeal recipe. I make a big batch for the family and save leftovers for the next day. Overnight Oats– Overnight oats are as simple as they sound. You just put all the ingredients in a mason jar and store in the fridge. By morning you have an easy breakfast that you can just grab and eat. 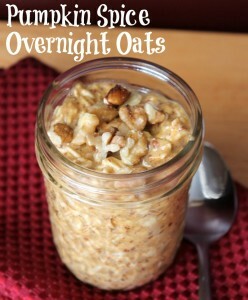 Pumpkin Spice Overnight Oats is one of my favorite recipes to make, especially in the fall. Pancakes – Who doesn’t love pancakes? Pancakes are another breakfast that are loaded with carbs but missing the protein so it is essential to find a balanced recipe with added protein. 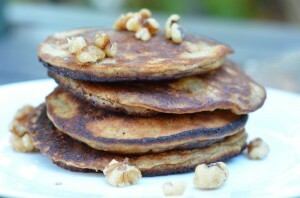 One of my favorite breakfasts are my Almond Banana Pancakes, these tasty pancakes only have 3 ingredients so it is super easy. I usually drizzle a little agave or pure maple syrup on top. 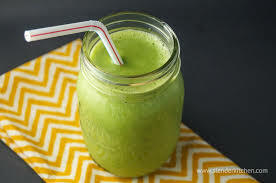 Smoothies – Smoothie breakfasts are so easy and are perfect for the hot summer months. I usually do a scoop of my protein powder, Daily Sustain, with a huge handle of spinach or kale, half a banana, and sometimes I’ll add a spoonful of nut butter for extra fat to keep me fuller longer. Smoothies are something you have to master. Throw in a handful of your favorite fruits, with either greek yogurt or protein powder, a handful of greens, ice cubes, and either unsweetened almond milk or water. Here is an easy guide to build your own smoothie. Great and easy breakfast options. This will take less time in preparation and are so healthy and tasty too. Thanks!! !